Sun Mountain Sports' 5.5 LS is the biggest bag in their lightweight series. Each detail is carefully thought out. They've given you our largest top to help get your clubs in and out with ease and nine pockets offering ample storage space designed specifically for the gear you carry. Sun Mountain Sports &apos; 5.5 LS is the biggest bag in their lightweight series. Each detail is carefully thought out. 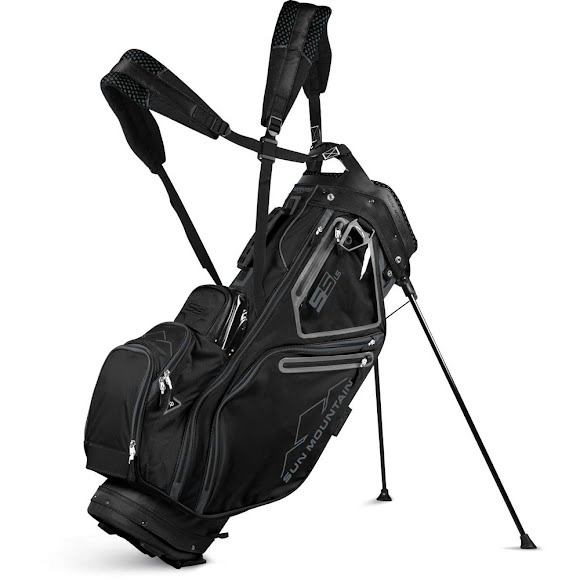 They&apos;ve given you our largest top to help get your clubs in and out with ease and nine pockets offering ample storage space designed specifically for the gear you carry.